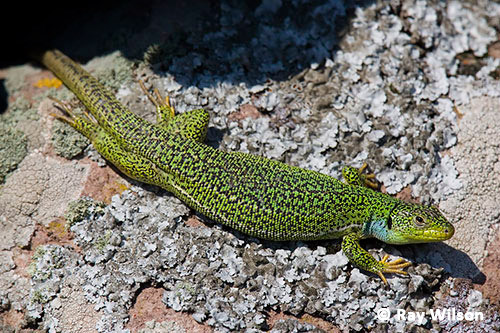 Balkan Green Lizards range from north-west Croatia, through the Balkan Peninsula to Asiatic Turkey. 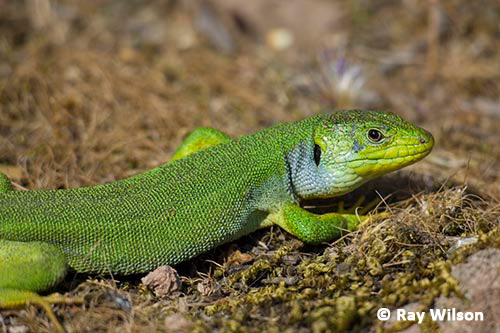 It generally prefers lower altitudes and drier habitats than the very similar Green Lizard (L. viridis) but has a similar taste for shrubby areas. Adult L. trilineata and L. viridis are very difficult to distinguish in places where their ranges overlap. Fortunately on Lesvos this is not a problem as L. viridis is absent from the island. 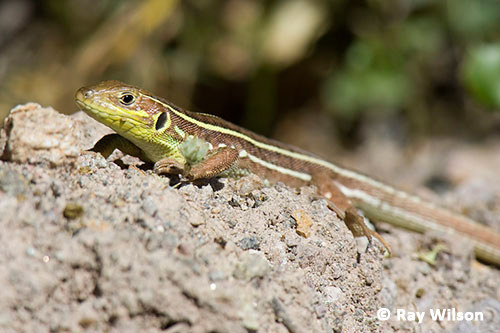 However, immature Balkan Green Lizards are easily distinguished from immature L. viridis by the number of stripes running down their backs: Balkan has 3 or 5, while L. viridis has either 2 or four stripes.